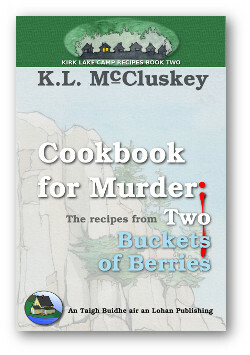 Murder/mystery stories set in northern Ontario. Owning and operating a cottage resort in a peaceful northern Ontario setting should be a piece of cake for a former police detective. Families should be happy to be on a vacation in rustic log cabins set among acres of old-growth pines along a vast shoreline of a clean lake ideal for swimming, boating and fishing. It should and they should, is what goes through the mind of this former detective turned resort owner every time a guest shows up and havoc reigns. Not only are the trees too sappy, too messy, too numerous, the mosquitoes and black flies are too many and too pesky, the cabins are too rustic with too few luxuries, with too few televisions (as in none) and too expensive, the other guests are too loud, too drunk, too close, too present, the air temperature is too hot or too cold or too windy or not windy enough, the lake is too cold or too rough, with too few pikerel and bass, the wolf howls are too scary and too close, the black bears are too smelly and too scary and too close, the water snakes too skittish and scary and too close, the garter snakes too, too, too close, the red squirrels and blue jays too chattery and bossy and too close, and the guests' own families are too obnoxious, too stressful, too close. It's enough to make the former detective turned resort owner want to head south back to a dark alley in the north end Hamilton to chase a criminal in a hoodie (always a hoodie), with a gun, who is too scary, too mean, too drunk, too stoned, too hilarious, too stupid, and too close. But instead, the former detective turned resort owner stays put and cleans toilets, cuts wood, sells gas, worms and ice, rents fishing boats and canoes and cottages, smiles at guests, and helps the local O.P.P. solve murder in the north on the resort because every time guests show up, someone gets killed. 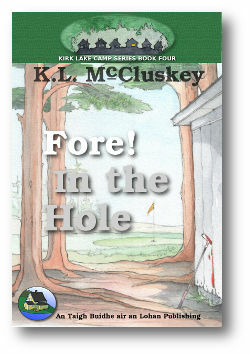 The Kirk Lake Camp Series of six ebooks is written by Canadian author K.L. McCluskey. The author graduated from Print Journalism and wrote freelance for almost 40 years before she started writing her first book, A Kayak for One. Her writing included a weekly fitness column, full length feature stories and a stint as a reporter covering court and town council meetings. Overlapping the writing years, she was a police officer with Hamilton Regional Police Service and worked in patrol, the Criminal Investigative Department, and the Special Investigation Branch as a detective in the Sexual Assault Unit. By the time she left her policing career she had attained the rank of Acting Staff Sergeant. She then bought a 12 cottage resort in northern Ontario. Six years later she sold the resort and taught Police Foundations at a college in Sudbury, Ontario until she moved to Victoria, B.C. for a short time. She moved back to northern Ontario, also for a short time, and now lives in a small eastern shore community in Nova Scotia. She enjoys her time travelling to visit her daughters and grandchildren, and while at home enjoys writing, kayaking, hiking, biking, and exploring the beauty of the east coast. 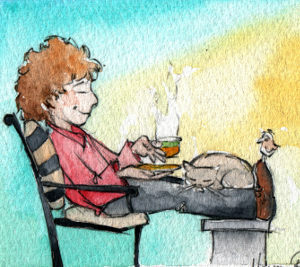 Meet the author by visiting her web page at: www.klmcluskey.ca. Favourite the author's Smashwords page at: Smashwords author page. Where to get the books. The books are available through links from this page for just about all readers, to read online on your computer or to buy as a paperback. Epub is a widely used format and can be viewed on most readers. Smashwords makes the ebooks available as epubs (Kobo and most other readers), kindle (Amazon's reader), pdf (desktop, tablet or phone viewing), lrf (older sony readers), pdb (older Palm readers) and an online reader that is in a browser and can be used by any device with an internet connection. The "Buy Now!" button will list the most popular sources such as Smashwords (all formats), Kobo (epub and other formats), Apple (iBooks), Amazon (Kindle), Barnes and Noble (Nook reader) and Scribd (epub readers). The paperback novels are only available from Amazon. 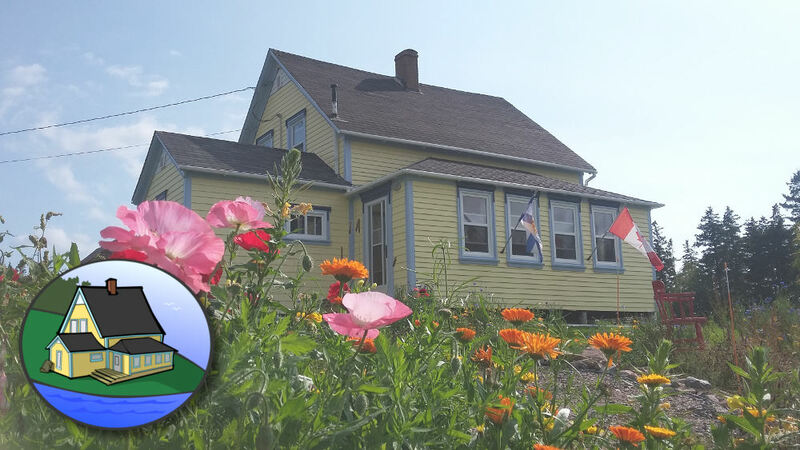 What could go wrong when a professor and geology students rent a few cottages as a base for field work in the area? They're educated young adults led by an experienced professor. Everyone could get along and hunker down and focus on the purpose of the trip, a 10 day advanced course, a study of the unique rock formations in northern Ontario. It's near the end of the tourist season and relief from working long days for long weeks for long months is almost palatable for the former detective turned resort owner. How much work could the students be for the former detective turned resort owner? Will it be a peaceful end to the busy summer season...for a change? Will it end without a murder ... for a change? Available as an ebook (epub, kindle, ibooks, pdf and more). Available as a paperback book from Amazon. Audiobook format coming soon! Listen to a sample chapter below. Audio copyright K.L. McCluskey, all rights reserved. May not be copied or reproduced. It wasn't just the high humidity and strong winds that had Charlene worried. Her married guests were quibbling, a young boy staying at the resort was troubled, her best friend Detective Sarah Davidson was deeply troubled, there wasn't enough time to pick blueberries and that was double trouble, Charlene couldn't make heads or tails of her own relationships and that wasn't even worth the trouble, and, oh yes, one of her guests was killed. Enter the code (Not case sensitive): FA64X at smashwords.com for 23% off. NOTE: enter this coupon number at checkout to override default sale coupon for more savings. It was the last busy week-end of the season and Charlene had lots of work to do to cook the dinner, cater to her guests and close up the cottages for the winter. The trouble was, her best friend Sarah decided to stay at Charlene's and avoid her relationship woes. The trouble was, one of the guests was murdered. What a mess. Sarah invited Charlene's former lover to Thanksgiving dinner without asking her first. Sarah was known to stick her nose into business that wasn't hers but she was a detective after all and that's what detectives did best. So instead of just her and Sarah at the table, Joe would be the third. The trouble was, Charlene was thinking a lot about Jim. After spending a peaceful and relaxed winter in a small village in Nova Scotia Charlene is back in Ontario to open her cottage resort for another noisy and hectic season of catering to strangers, working long days with no break for months. It started well. The geology students were back and a group of women from a women's shelter had a chance to unwind a little and let mother nature help soothe their worries. It didn't end well. Her angst over the man she left behind on the east coast mixed with her resentment of the man she once loved who lived just a short drive away from the resort, caused Charlene as much stress and worry as the dead body discovered on her property just a week before the May long week-end. To purchase any of these ebooks written by Canadian author K.L. McCluskey click a "buy now!" link or visit your favourite ebook retailer and select the format for your reader or device. A Kayak for One, Two Buckets of Berries, Three for Pumpkin Pie? and Fore! 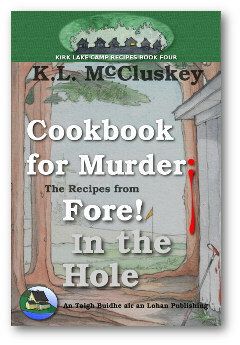 In the Hole are available as paperbacks from Amazon only. Click "Buy Now! and click on the Amazon link for your country. 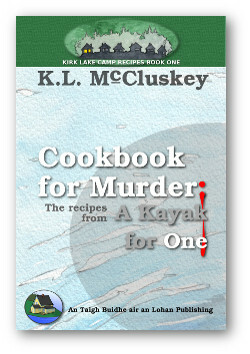 This recipe book has a few snippets taken directly from the ebook A Kayak for One to give you a glimpse into the characters in the series and to entice you to be curious enough to buy the book and get to know the characters better. I also hope you enjoy the food as much as I do. The excerpts are in italic and recipes follow. Bon Appetite! This ebook is free to introduce you to the characters and get you started on the six book Kirk Lake Camp series. Available to dowload from your favourite ebook retailer. This is a companion to book two in the Kirk Lake Camp series of ebooks. 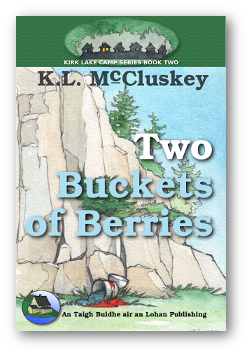 It has a few snippets taken directly from the ebook Two Buckets of Berries to give you a glimpse into the characters in the series and to entice you to be curious enough to buy the book and get to know the characters better. I also hope you enjoy the food as much as I do. The excerpts are in italic and recipes follow. Bon Appetite! 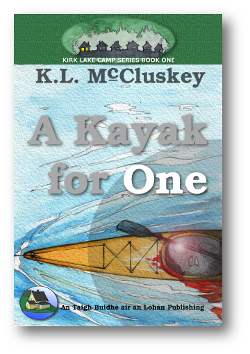 This ebook is free to introduce you to the characters and get you started on the six book Kirk Lake Camp series. Available to dowload from your favourite retailer. 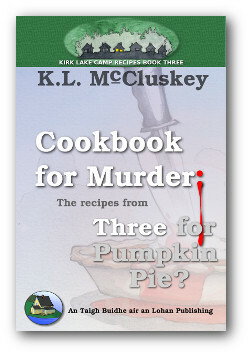 Cookbook for Murder: The recipes from Three for Pumpkin Pie? This is a companion to ebook three in the six part Kirk Lake Camp series of ebooks. 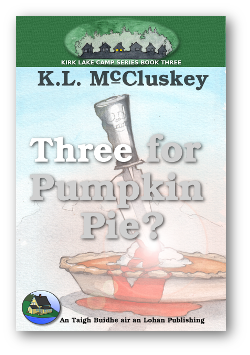 It has a few snippets taken directly from the book Three for Pumpkin Pie? to give you a glimpse into the characters in the series and to entice you to be curious enough to buy the book and get to know the characters better. I also hope you enjoy the food as much as I do. The excerpts are in italic and recipes follow. Bon Appetite! This is a companion to book four in the six part Kirk Lake Camp series of ebooks. It has a few snippets taken directly from the ebook Fore! In the Hole to give you a glimpse into the characters in the series and to entice you to be curious enough to buy the book and get to know the characters better. I also hope you enjoy the food as much as I do. The excerpts are in italic and recipes follow. Bon Appetite! Send me your comments or suggestions. Please enter the numbers or letters shown in the image above.